When you hear the word “success”, what do you think about? Does it elicit positive emotions? Or are you confused about what success means to you? No one sees success exactly the same way. To some it’s professional achievement, to others it’s more personal. It may be health, wealth, helping others or developing deeper relationships. What we consider success changes at different times in our lives. Whatever success means to you, there is a proven proven process for achieving it. Step #1: Start with the end in mind. What do you want? We spend time thinking about things we don’t want, but overlook envisioning what we do want. Think about what would make you feel successful. Picture it in your mind. Imagine how it would feel to have what you want. Write it down in as much detail as you like. Step #2: Develop goals. Goals are our vision helpers. They are the stepping stones that we follow to achieve success. For example, if you define success as becoming a top-selling real estate agent, your first goal might be to get your real estate license. Step #3: Action Steps: You implement your goals through activity. If you want to get your real estate license, next steps would be to identify the courses you need to take and enroll in a program. Breaking things down in this way—regardless of the vision—keeps the human brain from becoming overwhelmed. Goals and action steps become manageable; as we accomplish each one, we move closer to having what we really want. Success takes work. 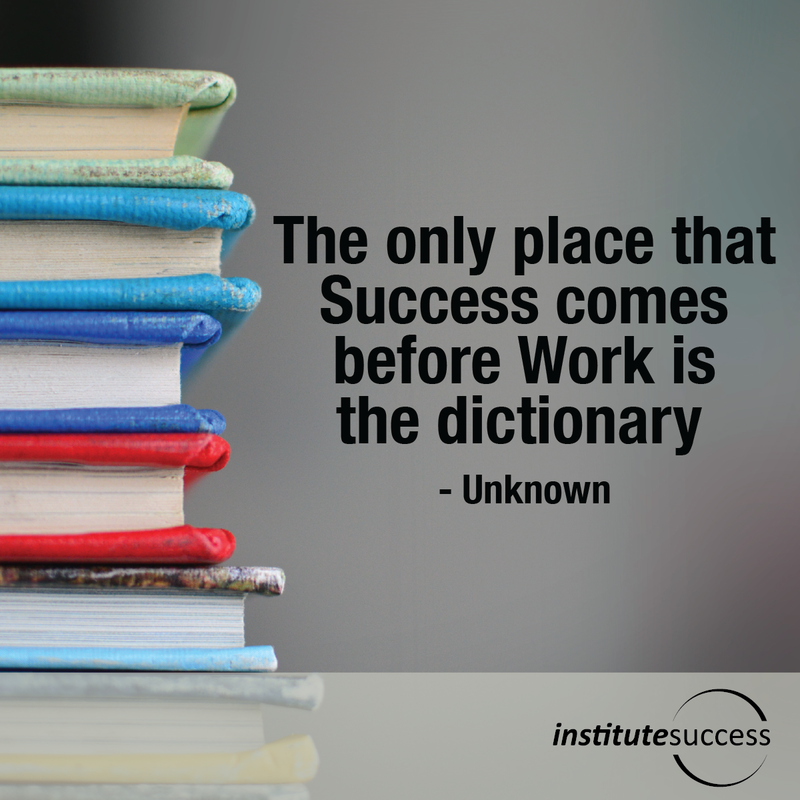 “The only place success comes before work is in the dictionary.” Both Mark Twain and Vince Lombardi have been credited with this quote. There are no shortcuts to success. Success is earned by getting clarity, setting goals and implementing a plan and moving to action. Success is not a straight line. You can expect discouraging moments and setbacks. Just don’t lose sight of your ‘big picture’. As you move forward you might need to modify and make changes; sometimes you might even wonder if you’re going in the right direction. Keep in mind: you’re not the first one to question the path. It might help you to find an objective sounding board--—a mentor or professional coach will help keep you motivated and on track. Celebrate every success no matter how small. Every accomplishment deserves acknowledgement. If you’ve ever joined Weight Watchers, each pound that someone loses gets applause from the group. Support yourself when you make progress. Understand that success changes. Just when we think we have all that we want, our vision can change. We might acquire a coveted promotion, then realize a couple of years down the road that we might want to acquire a position of even greater responsibility. There is always something more that we can set our sights on—and the process for getting there is still the same.